Now most of the filling stations network under the rebranding. Company Uccelletti, which is developing a network of filling stations UPG stops all stations on the territory of Kiev. This was announced by the company. Thus, all three gas stations on the street Mezhigorskaya of the city and the City will be closed in connection with the expiration of the rental stations. For this reason, the petrol station will be closed UPG in Vinnytsia region on 385 km of the highway M-12 stry-Kirovograd-Znamyanka. UPG went to the capital market of petrol stations in the fall of 2012, rent 3 stations MS-OYL. 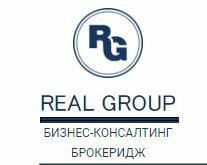 Brand UPG is owned fuel company of Ukcanadian (Korosten, Zhitomir region), which specializiruetsya on the supply of petroleum products (mainly diesel fuel) from Belarus, as well as to the retail supply from their depots. The company operates one of the largest parks of trucks (approximately 200 units). The network of filling stations UPG has about 60 stations, most of which is concentrated in the Central and Western regions of Ukraine. Ukcanadian also operates three filling stations under the brand Belarusian oil company, the last of which was opened in November, on the route Kyiv-Kovel. In this case, UPG announces the opening soon of the new 7 stations in the Dnipro, Volyn, Kyiv, Zakarpattya, Khmelnytskyi, Chernivtsi, and Lviv regions. As noted by trade publication enkorr, lease filling stations in Kiev were terminated prematurely. This was after a series of trials.